We are located in San Juan del Sur, Nicaragua 140 km from the capital Managua San Juan del Sur is a beautiful tourist port in the south of the country that offers its visitors a great tourist options, including Spanish lessons today we live in a globalized world must be known to communicate with people of different nationalities. that is why as English as Spanish in our continent has become a very important tool for Americans as well as for Latin American; Nicaragua has the best security in Central America I mean we are the country with the smallest crime rate in the region. We have over 8 years of experience, We offer study material, coffee to be relaxed while taking your Spanish lesson, Wifi 100% free for our students, flexible hours, great location we are in the main street of San Juan del Sur less than 3 minutes walking from the beach. It’s time to learn and study Spanish language now in San Juan del Sur. San Juan del Sur is a good place to learn and study Spanish in Nicaragua in Spanish Corner School, we are an Spanish language School offering online tutoring one to one.activitiesare not included in the price. 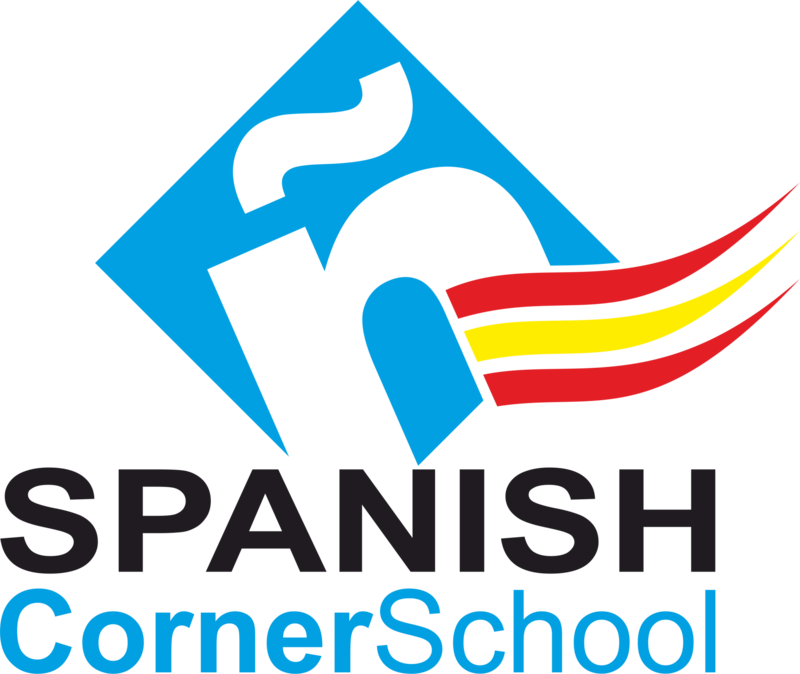 I had a professional, well organized learning experience with Spanish Corner. Tailored lessons, good resources and a well educated English speaking teacher (which helps at my level). Generally a fun, light hearted conversational approach with a healthy smattering of grammar exercises and other essentials. I have experienced a few different schools from Mexico to Nica so I hope it comes with good weight that I highly recommend this particular school. una escuela bonita para los estudiantes principiantes y avanzados. Los recomendo a todos. Christian ha tenido mi amigo por muchos años y ha me ensenado mucho espanol. Lo uso en mi trabajo y mi vida. Da mi un mensaje que quiere saber mas. Buenos Suerte! yo estaba estudiando espanol en san juan del sur. para aprender un idioma extranjero es muy dificil. pero yo continuo poco a poco el estudio, para en un futuro tener una vida divertida y satisfactoria. yo doy las gracias al profesor y su familia. Me encanta esta escuela. Ya he estudiado tres veces en Nicaragua con Christian y espero que pueda regresar pronto. Christian ensena espanol muy bien. El tiene mucha experiencia y tambien el habla perfecto ingles. He aprendido tanto de el. La casa de su familia es el lugar perfecto para quedarse en San Juan. Es limpia, comoda, y cerca de toda la accion en San Juan. La familia es muy amable y la comida es tan sabrosa. Les aconsejo a todos, que estudien en la escuela Spanish Corner. I have been having lessons with Christian Rodriguez Spanish for many years now since my first trip to San Juan in 2012. I have had 3 others Spanish Teachers and Christian in my favorite by far. Very understanding and patient!! if You are wanting to study Spanish in San Juan or online I highly recommend the Spanish CornerSchool. I have been learning spanish nightly from Spanish corner school . He’s a great guy , extremely patient , and very knowledgable. We are using Skype to study back and forth I highly recommend him to anyone looking to challenge themselves to learn another language. We have over 8 years of experience, We offer study material, coffee to be relaxed while taking your Spanish lesson, Wifi 100% free for our students, flexible hours, great location we are in the main street of San Juan del Sur less than 3 minutes walking from thebeach. It’s time to learn and study Spanish language now in San Juan del Sur. Had an amazing learning experience at spanish corner school. He helps you at your level and your pace. speaks english very well and i even learnt a little history stop by and check him out or make a skype appointment i highly recommend it! If you are looking to be immersed in the Spanish language while experiencing an incredible beach-vacation-like atmosphere, Spanish Corner School offers it all. It’s on the beach, I personally know the maestro who’s fluent in English but from Nicaragua, and it’s one agency that won’t rip of foreigners because they think foreigners are wealthy. It is inexpensive. Most importantly, you will receive what you registered for. You will learn Spanish. Great teacher and environment to learn Spanish, HIGHLY recommend to anyone traveling through San Juan Del Sur to check out. Looking forward to more lessons! Nicaragua used to be a secret. Pshhh, have you been to Nicaragua yet? That's where you really want to go, travelers would say. It was the land of backpackers and intrepid travelers. Tourists veered towards Costa Rica as Nicaragua's rough past plagued its image. But over the years, travelers seeking a fun, cheap, and adventurous destination came here as an alternative to touristy Costa Rica and Panama once they realized Contras weren't still roaming the jungles. So the secret's out, and Nicaragua is a hot destination spot for families, retirees, and backpackers relishing the cheap beer, hiking, and good surf. After visiting in December, I completely understand the appeal. Nicaragua is filled with amazing natural beauty and extremely warm people. I went in with high expectations and was not disappointed. Granada has some of the most well-preserved architecture in Nicaragua. It was the first big Spanish settlement in the country and many of the buildings and churches in the Spanish colonial style are beautifully preserved (and painted a myriad of colors). Besides wandering around gawking at the architecture, you can take a kayaking trip to the nearby islets, enjoy hiking trips to Mombacho volcano, or visit the nearby markets in Masaya. While you're in town, be sure to eat at one of the kiosks in the town square serving vigoron, a local pork and cabbage dish that was delicious (and only $2). Kathy's Waffles and the Garden Café serve good Western food. A hit with surfers and backpackers, San Juan del Sur is the most popular beach destination in Nicaragua. All the beaches are beautiful and lapped by warm water. Here you'll find great surfing (expect to pay around $9 USD per day for board rental and $25 per hour for lessons), the second-largest statue of Jesus in the world (behind Christ the Redeemer in Brazil), and lots of cheap bars. If you're looking to party, this town is it. The two best hostels in town are The Naked Tiger and Pachamama (they throw a wild Sunday pool party too). This extraordinary island is located on Lago de Nicaragua and is formed by two joined volcanoes, Concepcion and Maderas. Hiking, kayaking, cycling, and healthy food are the island's main draws. Hiking the volcanoes is as hard as it appears; you'll need to start really early or the midday heat will slow you down significantly (I learned this lesson the hard way). The volcano hikes cost around $20 USD if you're part of a group or up to $40 if you're by yourself (hike with a guide as it's rather unsafe due to poorly maintained trails). Keep an eye out for all the monkeys spotting them was more interesting than the hike! 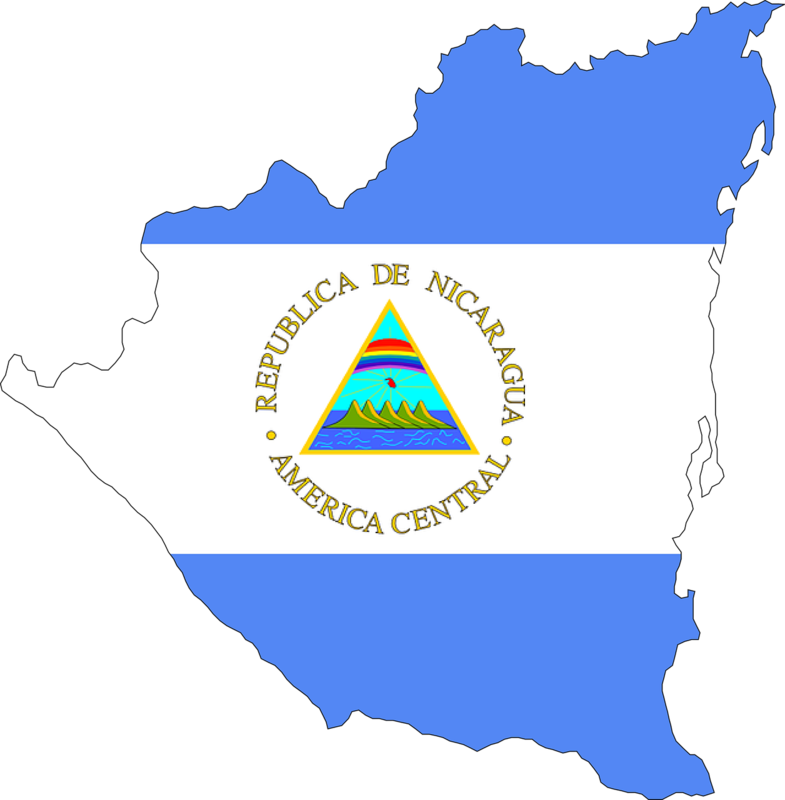 This city was Nicaragua's capital until 1857. To this day it remains the country's intellectual capital and is home to the National University. Remnants of the political war between the Somozas and Sandinistas can be seen in the graffiti and murals around the city. There are a lot of churches here, many art museums, and a burgeoning food movement. Make sure you visit the Museum of the Revolution, a fascinating museum about the Sandinista movement. The $2 entrance fee includes a guide. León is also where people base themselves for trips to the nearby volcanoes. This city was one of the highlights of my trip. The ruins of León Viejo date back to the 16th century and are a short trip from León. The site is Nicaragua's only UNESCO World Heritage listing and is one of the oldest Spanish colonial settlements in the Americas. While this isn't some lavish ruin site, it's really the only place to see and learn about the country's founding colonial past. Want to stay longer? Take part in a homestay. There are a lot of opportunities to stay longer and Spanish Corner School is the best option to stay in San Juan del Sur for a good deal to stay and learn spanish in Nicaragua, San Juan del Sur. we hve 7 bedrooms with capacity for 17 people total or we can send you to hostel or family houses, for a Hostel We recomend CASA ORO. learn and study Spanish in Nicaragua, and farm. If this interests you, hostels and tourist offices in any big city can help organize this for you. San Juan del Sur, Granada, Esteli, Ometepe, and León are popular destinations for this. Though lots of people visit Lake Nicaragua (which is the biggest and where Ometepe is), this lagoon near Managua is a nice spot to relax. You can sail on the lake, fish, and hike around. It's a beautiful part of the country. Relax - Nicaragua is a great country to just hang out in. Sit on a beach with a good book, relax in the jungle, stay on the farm, surf, or swing in a hammock. The pace of life here is slow and relaxed, so slow yourself down and enjoy some lazy, wonderful days. Nicaragua is fast becoming the new Costa Rica in terms of tourism, and I highly recommend a visit to this country before it becomes too touristy and expensive. I see the writing on the wall this place is going to explode with tourists even more than it has already. Nicaragua is a nature lover's dream: volcanoes, rainforests, mangrove forests, and beaches abound. Add in some adventurous activities, friendly locals, and cheap prices, and you'll see why everyone raves about this country. I loved it so much that I'm already planning to go back there this spring. Nicaragua has announced the route of a new £23 billion canal that it hopes will break Panama?s monopoly on crossing between the Pacific and the Atlantic oceans. Digging a 173-mile-long canal from the mouth of the river Brito, through Lake Nicaragua and to Bluefields on the Atlantic coast, has long been considered impossible. However, President Daniel Ortega, together with a mysterious Chinese tycoon named Wang Jing, has presented the project as a chance to lift his country out of poverty and transform its prospects. Mr Wang has insisted that he has both the money and the technical ability to complete the canal within five years and that construction will begin in December. On Tuesday, however, he did not return requests to speak about the canal and despite promising last year to reveal which investors were backing the project, he has yet to do so.